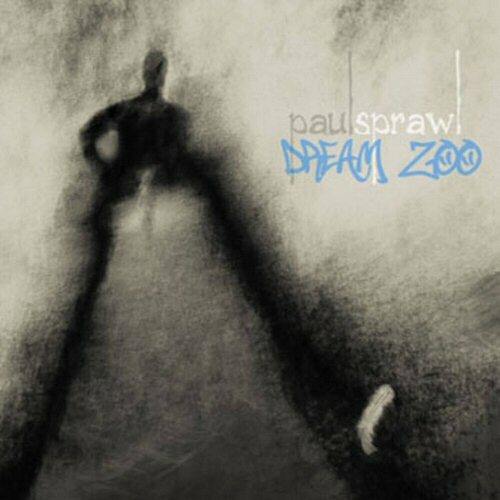 Musician Paul Sprawl has been on a long-haul in the Fall of 2016 as he has been touring the country along with his wife in support of his most recent release, Dream Zoo. The pair rolled into Nashville for a memorable intimate house concert at the Germantown Commons community on Sunday, October 16, 2016. Paul Sprawl spread his message across Tennessee in October 2016. Sprawl describes the songs on his latest recording as being “about the war for human imagination”. His compositions were imaginative and musically intricate showcasing his complex and compelling approach to the acoustic guitar. 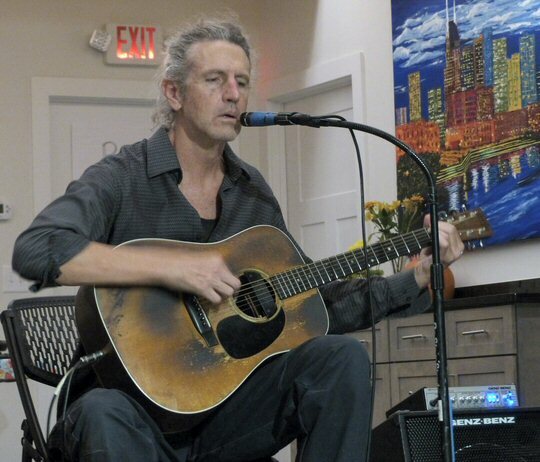 On Sunday, Paul detailed how this was the eighth gig on his current tour that was being performed on the premises of an intentional community. On the prior day he appeared at the world famous commune in Summertown, Tennessee known as The Farm for an appreciative audience at their Integrity House theater. That was the second performance of the day for him as he also spent the afternoon playing for the 28th Annual Festival of Books in the shadow of the State Capitol Building. A small but energetic crowd gathered on the lawn under the Super Moon near the Germantown Commons’ recently completed community room. Sprawl opened this show with his timely “Refugee” that was raw and real with strong, sturdy percussive strumming and effects. This was his most politically stirring number but he did also make a comment about the lack of bumper stickers for either candidate this season – and that really underscored the current mood of the nation as we stare down the abyss looming on the calendar. Paul Sprawl introduced a number called “Touch of Evil” inspired by the Orson Welles directed movie of the same name. He asked if anyone in the audience had watched the film and not one had. He said that was okay because no one else on this current run of dates had heard of the movie, either. At one point a fan requested “Leralee” named for Sprawl’s wife who also added intriguing improvisational interpretation to Paul’s observational story-telling in the form acrobatic dance. 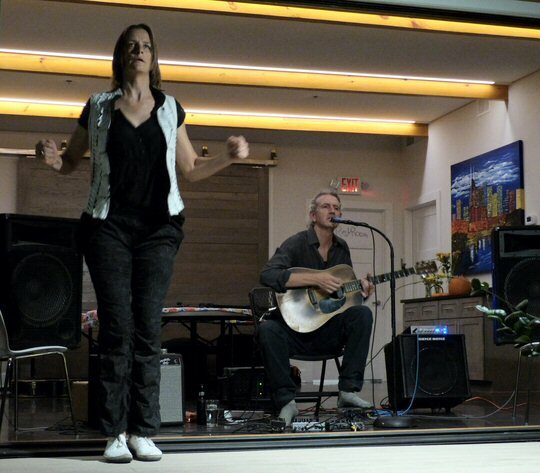 Sprawl described how the duo have been traveling around the country on this tour in a packed van and that led into a song about riding the rails on an Amtrak train. Paul added some slide and harmonica as he told his tale in one-man band style. Sprawl’s appearances in Tennessee showcased a talented troubadour not afraid to take his message to fans one show at a time. His unique combination of rhythmic guitar techniques with bottleneck, tapping, harmonica and an authoritative baritone voice leads us to believe that his cult will continue to grow conclusively on the strength of his charismatic approach to music. The Southern Festival of Books is a three-day Festival celebrated each year during the second full weekend of October. It is free and open to the public. The Festival annually welcomes more than 200 authors from throughout the nation and in every genre for readings, panel discussions and book signings. Book lovers have the opportunity to hear from and meet some of America’s foremost writers in fiction, history, mystery, food, biography, travel, poetry and children’s literature among others. The Farm is an intentional community of families and friends living on three square miles in southern middle Tennessee. They formed in 1971 with the goal of establishing a strongly cohesive, outwardly-directed community. They strive, by action and example, to have a positive effect on the world. Over the last 40+ years, The Farm has become well known for many things, from natural childbirth and midwifery to healthy diet and vegetarian cuisine, creative arts and alternative technologies to its partnerships and assistance to native cultures. 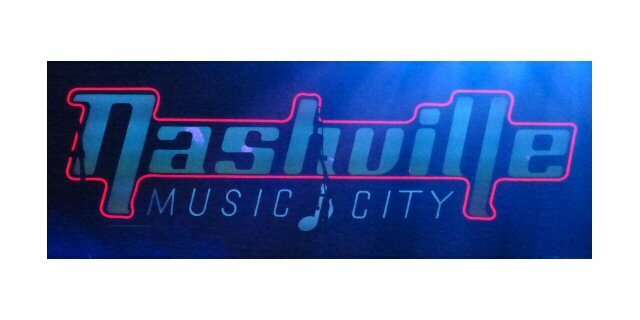 Leralee and Paul entertained under the Super Moon in Music City.